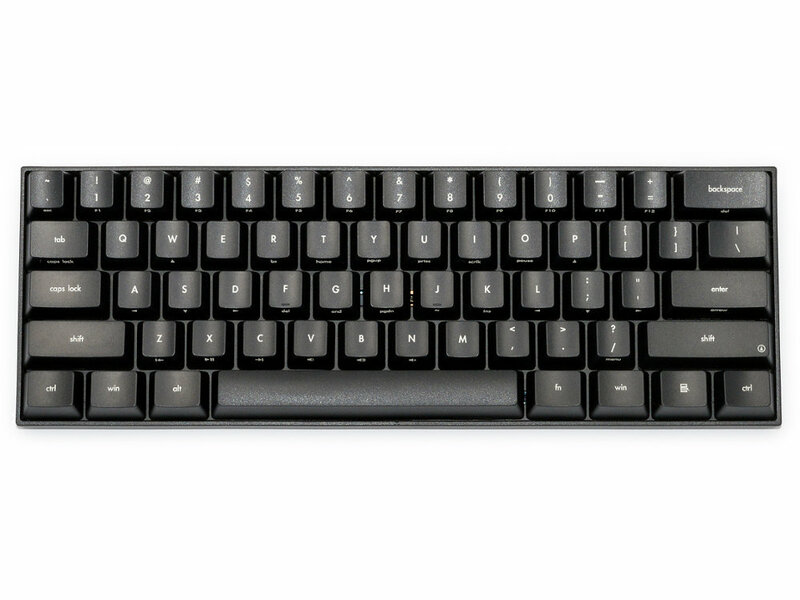 The KBP-V60GTR-B features dip-switches to customise your layout with additional key caps to match your preferred layout, a key puller to help swap your keycaps, and Gateron Brown switches. I've only just received the keyboard so this is a very nascent review. So far I can tell the build quality is sturdy and the key caps feel secure in their attachment to the switch. I have had the Cherry MX Browns for 5 years now, but the Gateron browns are much smoother with a more noticeable tactile bump in the mechanism. The dip switches on the back are easy to understand with the documentation, and KBParadise kindly provide a number of extra keycaps so that you can align your visual configuration with the programming setup (in the dip switch). Overall, early impressions are that its a very good minimal 60% keyboard!